Your business’ first impression is pivotal. Making a great first impression can be the difference between a potential buyer stopping in or moving on to a competitor. Outdated exteriors and decor, improperly chosen plantings, and lack of visual interest all deter potential customers and hurt your bottom line. Alderwood Landscaping & Construction is your partner in doing what’s best for your business’ appearance, reputation, and budget. We want your property to be the envy of your competitors. 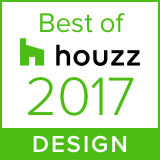 Review our portfolio and contact us for a free consultation at your location with a real, licensed landscape architect. Refreshing your business’ aesthetic is easy. We walk you through the process from design to finished construction. With our multi-disciplinary team of licensed landscape architects, designers, project managers, and licensed contractors on your side, creating your dream business aesthetic will almost be as easy as enjoying it. Tim’s design completely transformed our unusable backyard to a resort style outdoor living area by using large landscape rocks, fire, and light. From beginning to end, the entire project team was outstanding to work with. Dan Van Hook, Project Manager ensured the project started and finished on time and on budget. Nick Lane and his crew were courteous, professional and responsive. It was a true joy to watch Alderwood transform our yard.